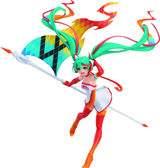 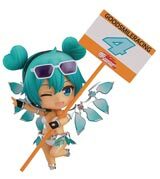 The 2018 edition of the official character of the Hatsune Miku GT Project, Racing Miku, has arrived as a 1/7-scale figure! 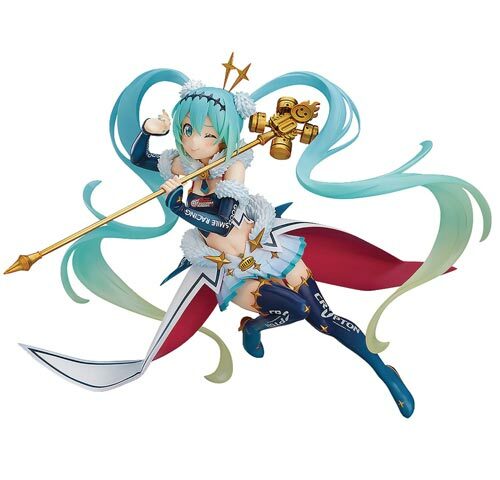 This year's illustration by popular illustrator Hiro Kanzaki has been transformed into a figure packed full of impressive detail. 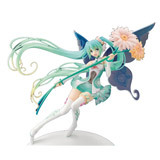 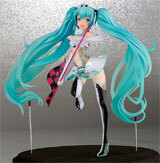 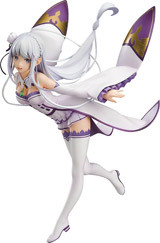 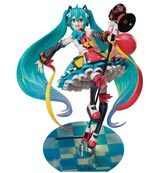 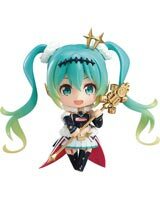 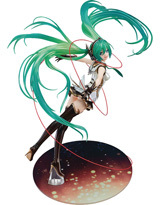 Her cute, mischievous expression with her tongue sticking out has also been captured in figure form. 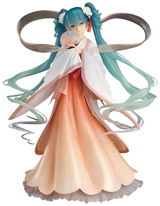 Translucent parts are utilized for her hair, giving it a somewhat see-through appearance at the ends.